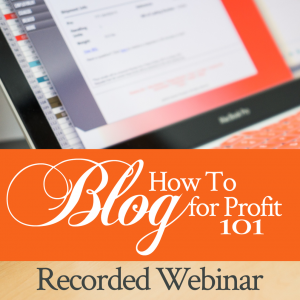 How To Blog for Profit 101 Is Finally Available! I’ve received a number of emails from our Presence-seeking family asking me to make my 2-hour How To Blog for Profit 101 recorded webinar, which I taught in November 2016, publicly available. In this class, I take the information I have learned about how to reach people–which I do for ministry, but the same principles work the same way even if you want to blog about DIY, cooking, travel, fashion, etc–and I teach you how to apply them to any online blogging business. In two hours, I teach you the biggest tips that have taken me YEARS and thousands of dollars to learn. 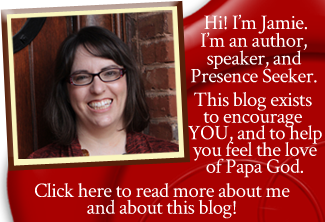 In this 2-hour recorded webinar, I teach how YOU can build a blogging business in any niche–parenting, cooking, DIY, travel, and yes, even ministry–that will reach people and earn you an income. In How To Blog for Profit 101, I share from my years of research, study, practice, and thousands of dollars of investment about HOW TO REACH PEOPLE online. How to monetize your blog so it will bring you income. This bundle also includes recommended resources AND my getting-started guide that I wrote specifically for bloggers, sharing each step to take at the beginning of your blogging career–plus an all-important pre-launch checklist. How To Blog for Profit 101 is a comprehensive course that will help you set your online business up for success. It’s a course you’ll want to listen to multiple times. Listen to it once for an overview, so you will catch the vision of the possibilities available to you! Then, go through it again step by step, taking as long as you need to carry out each step. By doing so, over time, you can build a business that reaches people, meets real people’s needs, and brings you the pay you deserve. Sound good? It’s $80 for the two hours of training you can listen to over and over, PLUS my getting-started guide, PLUS my recommendations for who to follow and how to keep learning. Click the button below and get your copy! Also, through May 27, I will offer a $10 coupon code off this particular product. Use the code “blog” (no quotes) at checkout, and it will take $10 off your purchase of How To Blog for Profit 101. I think I just signed up for your Blog 101 Webinar but haven’t received my confirmation from PayPal. I may have done something wrong, but not sure if I should try to pay again. Would you mind checking to see if you received my payment. If not I will do it again right away! Hi Rosetta. I emailed you separately. Thanks!